Taken from the center-cut or middle sections of the famous Warehouse H, Blanton's Original was once designated for ambassadors, dignitaries, and Colonel Blanton's family and friends. Today, everyone has access to the world's first single barrel bourbon. The taste profile is sweet with citrus and oak. A creamy vanilla nose features hints of nuts, caramel, orange and light chocolate. 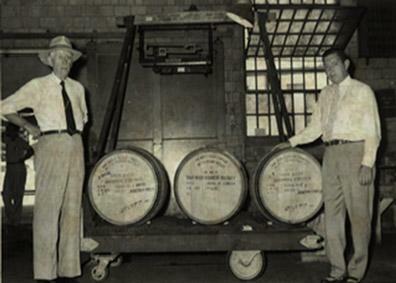 Blanton's Original set the standard for single barrel bourbons. Best served neat or on the rocks. 46.5% alcohol by volume.